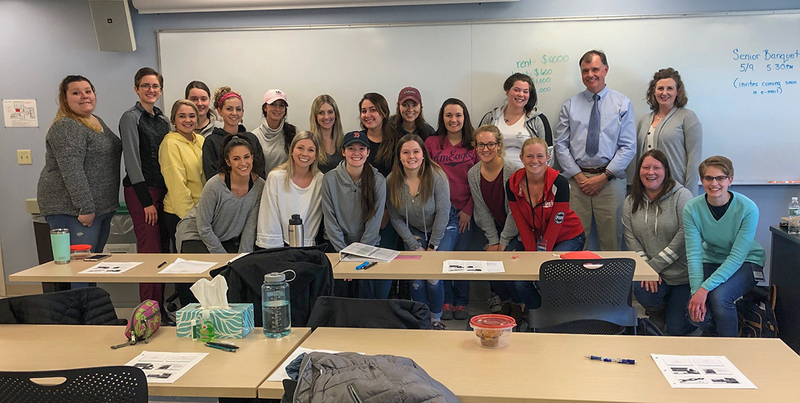 Dr. Leonard Brennan, DMD presented a lecture to a class of UMA Dental Health students at the invitation of Assistant Professor Nancy Foster last week. 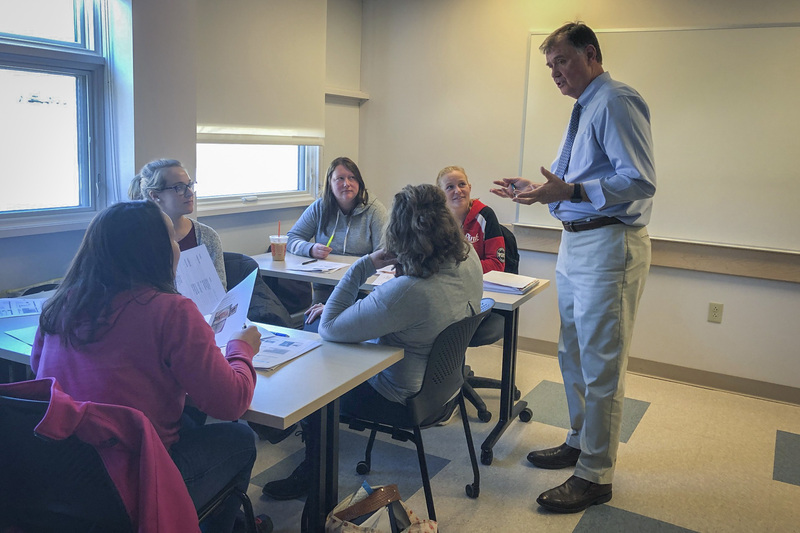 He spoke on the topics of oral health and older adults and the importance of inter-professional collaboration achieving successful and effective access to oral health care in nursing homes around Maine. UMA’s students enjoyed his animated and engaging presentation and appreciated his passion and enthusiasm on the subject. Through teaching and research on the relationships of oral disease to systemic disease, Dr. Brennan strives to improve the oral health of Maine seniors. 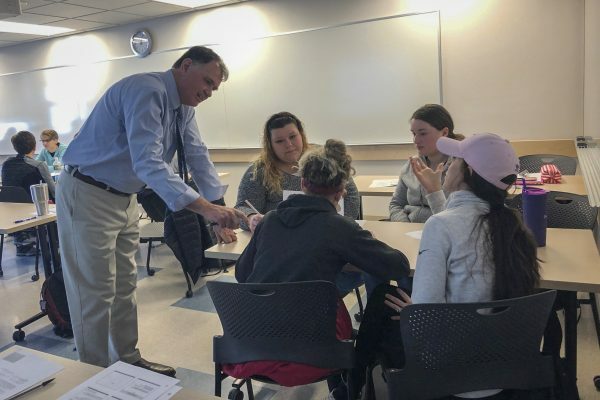 He passionately believes that education through an interdisciplinary health care model is key to improving oral health care for all older adults. Dr. Brennan has practiced general dentistry in Portland, Maine for more than thirty years. He is the co-director of the Harvard University’s Dental Geriatric Fellowship Program and a professor in their Department of Oral Health Policy and Epidemiology. Locally, Dr. Brennan has been involved in many community dental and medical organizations and as a volunteer in the Dental Lifeline Network for which he received national recognition from CNN Money magazine with the 2014 “Hero Award” for his work with the elderly and other fragile individuals. 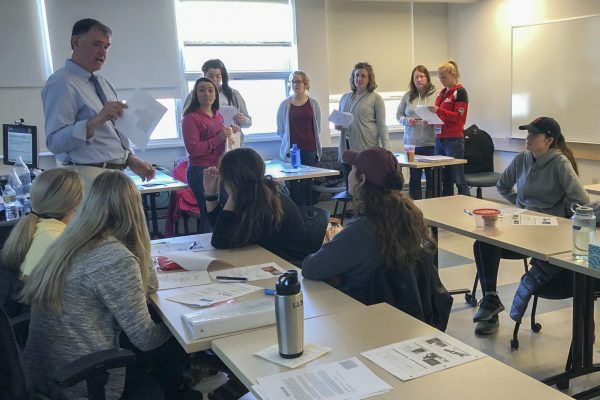 Additionally, Dr. Brennan and Professor Foster serve on the Advisory Committee of MOTIVATE (Maine Oral Team-Based Initiative: Vital Access to Education), a Lunder-Dineen program, seeking to improve oral health for those in long-term care. 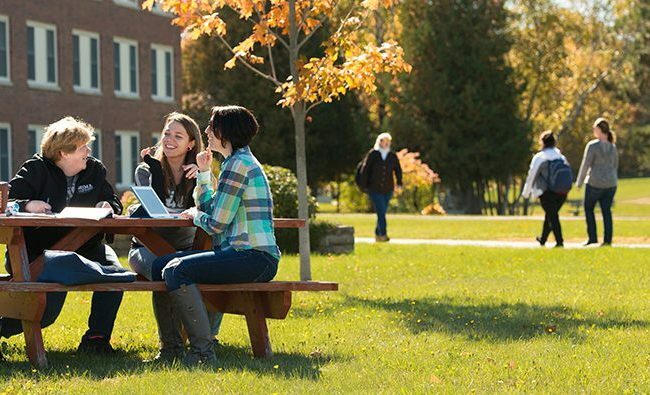 If you have an interest in the field of dental health, UMA offers a Bachelor of Science in Dental Hygiene, an Associate of Science in Dental Hygiene and an Associate of Science in Dental Assisting, as well as a Certificate in Dental Assisting and an Expanded Functions Dental Assisting program.